Ceramic snowmen and wooden nutcrackers are both merry and bright, but why not have a holiday collectible that’s as funny as it is festive? 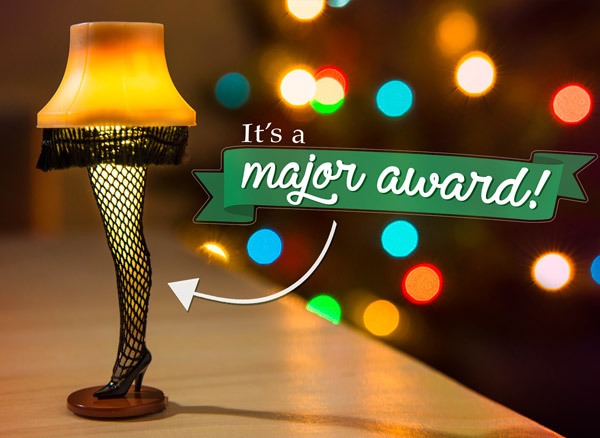 The Christmas Story Mini Leg Lamp is a piece of mini movie memorabilia that gets you into the spirit of the season with a laugh. The iconic stockinged leg with attached shade will be instantly recognizable to fellow fans of the Christmas classic (who will be quick to ask if it’s fra-gi-lé). The glowing lamp replica is packaged in a small box—not a large wooden crate—which makes it an ideal stocking stuffer for the millions of fans of Ralphie’s holiday exploits. Miniature replica of the iconic lamp from the popular holiday movie. 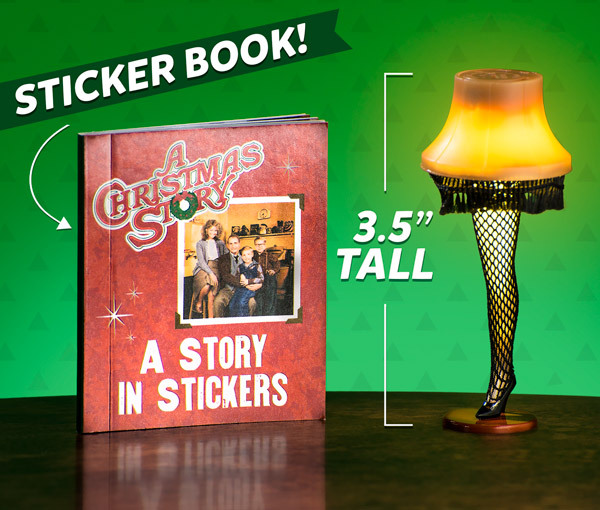 If the holiday season brings to mind memories of Red Ryder BB Guns and triple dog dares, deck your halls (or desk) with the Christmas Story Mini Leg Lamp. This tiny trinket looks like the legendary lamp from the 80’s cinema classic and flicking the switch on the bottom actually makes it light up! You may not be able to display it in the front window for the whole neighborhood to see, but you can show your officemates and houseguests your piece of movie memorabilia. A gift that won’t shoot your eye out. Standing less than four inches tall, the Mini Leg Lamp is an easy decoration to fill the nooks and crannies of your life that need a little holiday spirit. And if you need a little more, the eight stickers in the included booklet showcase iconic scenes from the holiday classic. 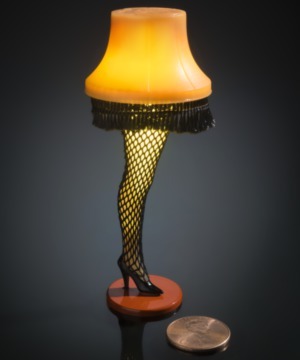 Whether you think it’s indescribably beautiful or the ugliest lamp you’ve ever seen, this Christmas collectible will bring a smile to your face. Ho...ho...ho. You’ll love it more than cable TV loves Christmas movie marathons. Question: Is it easy to break? Answer: The Mini Leg Lamp is made of plastic, so it’s not likely to shatter while you’re watering the plants. Question: Do I need batteries? Answer: The lamp comes with a CR1220 lithium battery.